In a bowl,mix the flour by slowly adding water & knead well & make a smooth dough. Cover it & Keep aside for half an hour. In a kadai,heat oil and add Jeera powder,grated beetroot,green chilli & chilli powder.saute for 2 minutes. Then add coconut and salt and sugar.Mix well.cook for another 1 minute.Allow it to cool. Make small balls of the dough of same size and flatten it and in the middle keep the spoonful of beetroot filling and cover it. Dust it with the flour on both sides and flatten it with the rolling pin. Preheat the tawa and put the Paratha and When it turns with brown spots,turnover and apply ghee on both sides. 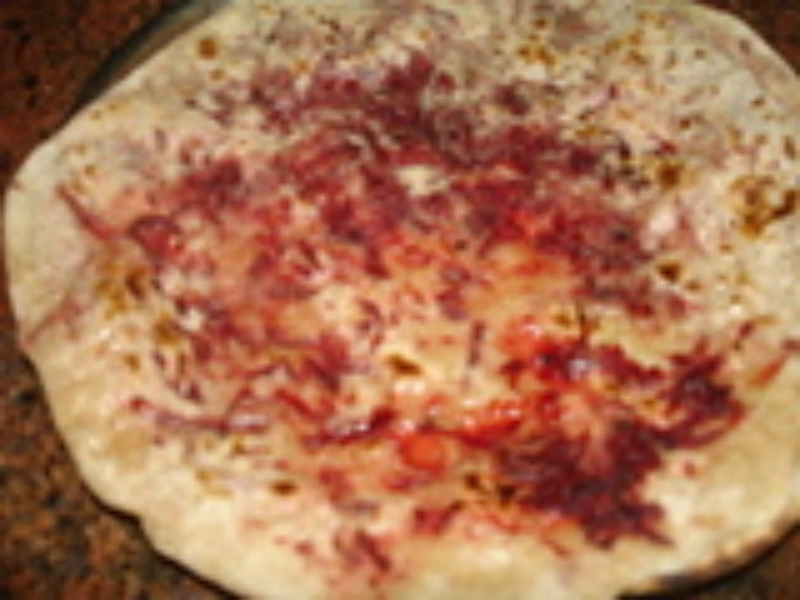 Yummy beetroot paratha is ready.Serve with butter and shrikand.